I am a big fan of Dyson, in fact I love them. We swear by our Two Dyson Vacuum Cleaners and with the extensive range ever growing, and the technology always improving it is great to see how the products develop. Not only do Dyson have the fabulous vacuum technology such as the Animal and the Digital Slim. 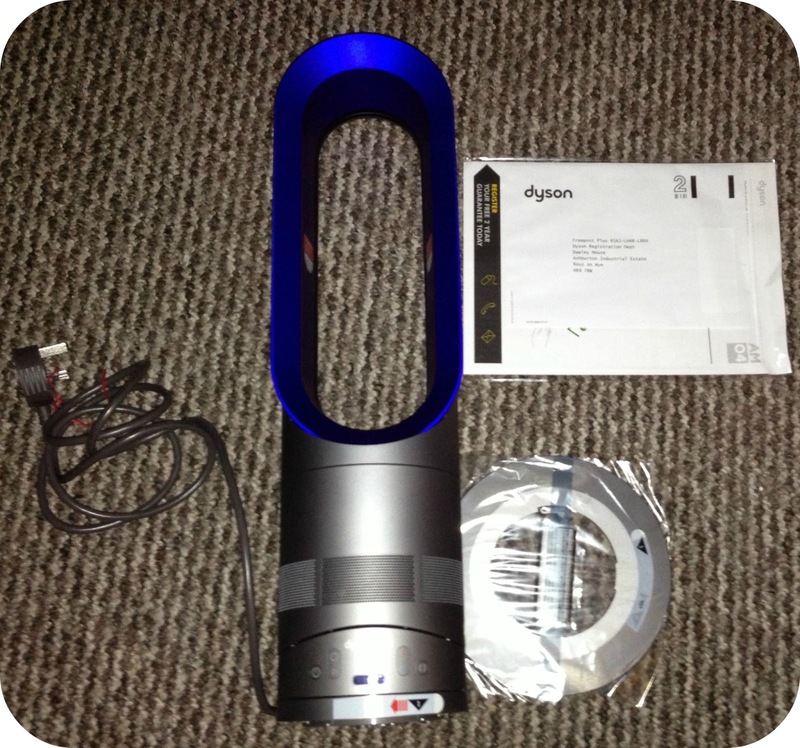 They also have the Air Multiplier Fan and the Dyson Hot Heater. Over the last couple of months I have had the pleasure of using the Dyson Hot, a heater like no other that I have ever come across. It stands in length just up to my knee and is smaller and more compact than I first expected. 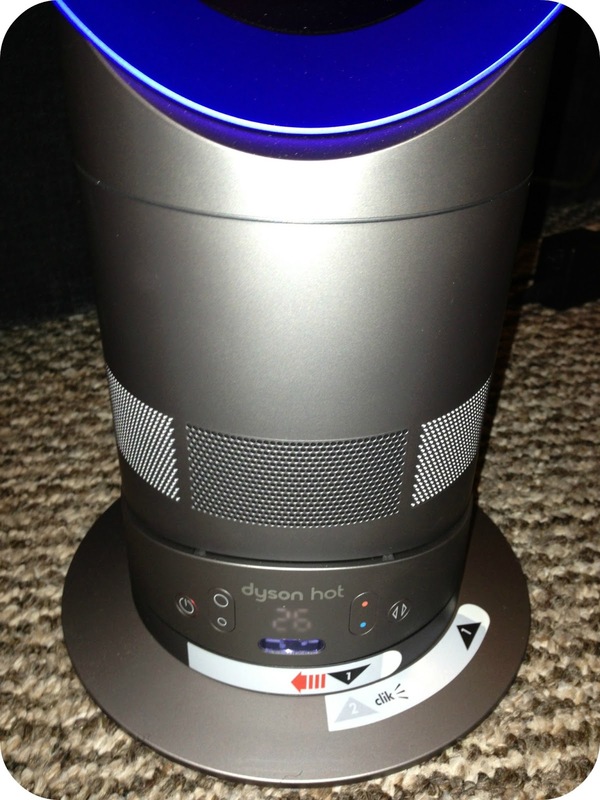 The Dyson Hot is finished off in a bright metallic Blue/Purple and iron Grey looking incredibly modern and stylish. Looking at it you may wonder where all of the visible heating elements are, or where the blades are hiding? Quite simply there are no blades, and the heating elements are cleverly hidden away! Instead the Dyson Hot uses Air Multiplier technology in order to amplify the air in the room to generate long range heat protection, this in turn allows the heater to evenly heat the entirety of the room up to an even temperature. Dyson, how does it work? Air is accelerated through an aperture. This creates a jet of hot air that passes over an airfoil-shaped ramp, channelling its direction. Surrounding air is drawn into the airflow, amplifying it 6 times through processes known as inducement and entrainment. Over the past couple of months what with the arctic temperatures that brought many a icy blizzards along in it's wake, it is safe to say that this clever heater has been given a real work through. Our dining room can be a pretty cold place even with the heating on, and being Leo's play room we need to keep it nice and warm so that he can play in there. I have taken to putting the fan on the table out of the way of Leo's play time and warming the room up to a much more desirable temperature. I have been so put off about going into the dining room to watch Leo play or have our dinner when the temperature gets so chilly in there, but with the Dyson Hot it is so much more comfortable and I don't object about going in to watch Leo run around with his many toys any more. So what is in the box? Everything you need to get started is in the box, even the 2 year guarantee which you can register for using the form, going online or even giving Dyson a call. Assembling the Dyson is a doddle, and literally involves placing the base on the bottom of the fan. With the base in place you are ready to plug in, set your desired temperature either using the digital display on the bottom of the fan, or by using your compact remote control. The remote is a great touch and means that you can quickly and easily change the temperature to match your comfort at the flick of a button without moving an inch. When you aren't using the handy little remote there is a great storage option. The top of the heater is magnetic so you can actually just place it on top and it won't be going anywhere! There are 10 different speed settings in all, and you can set the temperature from as little as 1°C right up to the dizzy heights of 37°C with complete precision and control. When the fan is on you can certainly hear it but I would not say it was loud, no louder than any other fan or heater anyway. I currently have the fan on 10, the highest speed setting and I would not say it was a distraction or loud at all. I could very easily sleep with the heater on without it causing any issue, but I am highlighting this as I have read some reviews who have specified the heater as loud. Please see the video at the bottom of this review to hear just how loud the heater is going through the settings. 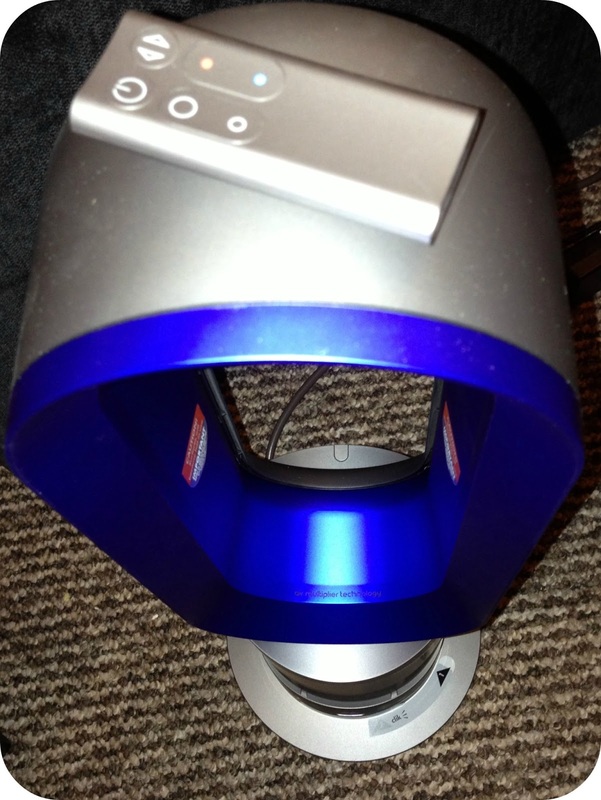 Having Leo I know just how important safety is, and obviously a heater is not something that I will be leaving around for Leo to stumble upon but Dyson have built in a great safety feature. Just in case. If the heater is knocked over the heater turns off. Simple, effective and above all else, safe. The heater does exactly what it says on the tin and efficiently heats the room very quickly. I would highly recommend this heater for people who are lucky enough to have a conservatory that they would still like to make use of during the winter months. This really would be perfect and would demonstrate the air multiplier technology to it's full capability. At £299.99 it is at the pricier end of the market, but for the stylish looks and Air Multiplier technology it is hands down a winning product. Overall I am really impressed with the Dyson Hot Heater, I do think it works better as a heater than it does as a fan but it is of course primarily advertised as a heater with cooling capability. 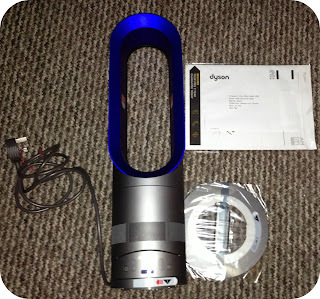 It really is a great bit of kit and Dyson deserve a big thumbs up! Disclaimer: I was sent the Dyson Hot for the purpose of this review however all views and opinions expressed are completely honest and my own. Win a Family Ticket to The Croods Screening! Who Said Being a Mummy Isn't Glamorous!? Help! My Toddler is Punishing Me!